Duluth Therapist: Plum Behavioral Health Services - Therapist 55802. 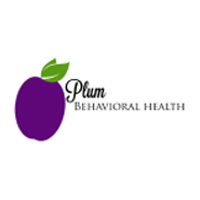 Send A Message To Plum Behavioral Health Services. We offer in-office sessions to the Duluth, MN and Hinckley, MN area and online E-services in Minnesota, Wisconsin, and Indiana. I am enthusiastic about self-improvement and the empowerment of others. I have worked in private practice for over two years. Prior to working in private practice, I worked in community mental health for more than three years. I also volunteered for seven years with an Indiana based program, which served local youth through education and outreach. I have experience with individual, family, and group counseling. I began learning DBT two years ago and I have learned that I love to teach skills and engage clients in learning and growing. I Graduated from Purdue University in 2009 with a bachelor’s in Law and Society with a minor in Psychology. In 2012, I obtained a Masters degree from Liberty University with an emphasis on marriage and family counseling. In 2014, I obtained a second Masters degree from Liberty University for Professional Counseling. I became a Certified Clinical Trauma Professional through the International Association on Trauma in 2015. We can either make ourselves miserable or empowered. The amount of work is the same. Through kindness and unconditional positive regard, I help my clients become the person they want to be. I bring a nonjudgemental, collaborative, and creative approach to talk therapy for those who are struggling with emotional, anxiety, depressive, trauma, or relational issues. I view psychotherapy as a personal journey of self discovery and self acceptance, where the therapist joins this process as a passenger, guiding the client towards understanding and love. I have my Master's Degree from The University of St Thomas in Counseling Psychology, a Bachelor's Degree in Psychology and a Bachelor's Degree in Fine Art, Concentration in Painting and Drawing from The College of St. Scholastica. I serve adolescents and adults with a variety of mental health concerns. I utilize a cognitive behavioral approach to learn skills in managing intense emotions, coupled with humanistic, psychodynamic and mindfulness approaches. Expressive therapies can be incorporated when verbal expression seems to fall short. I am culturally competent.